GENEVA (Reuters) - An international panel of experts is ready to investigate the U.S. bombing of a Medecins Sans Frontieres hospital in Afghanistan but awaits a green light from both governments, MSF and the Swiss foreign ministry said on Wednesday. 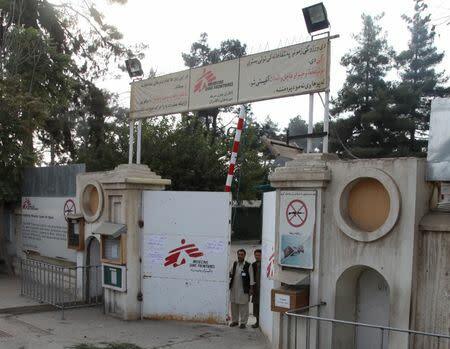 The hour-long air raid on Oct. 3 killed 22 people, including 12 MSF staff, and led to the closure of the Kunduz trauma hospital, depriving tens of thousands of Afghans of health care, the prominent medical charity said. MSF has been demanding that the independent humanitarian commission created under the Geneva Conventions in 1991 be activated for the first time to handle the sensitive inquiry. "The commission has already offered its services to the governments of the USA and Afghanistan," a Swiss foreign ministry spokesman said in an email to Reuters on Wednesday. "Any investigation would require the agreement of both governments, however." Switzerland, which provides a secretariat for the Berne-based International Humanitarian Fact-Finding Commission, would welcome an "independent, effective and comprehensive investigation", he added. The United States military has taken responsibility for the air strike, calling it a mistake. 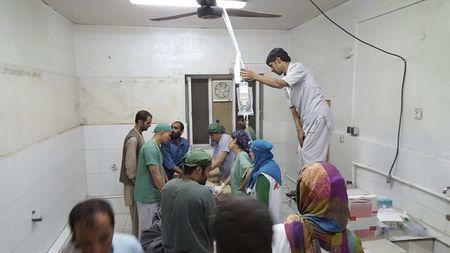 U.S. President Barack Obama apologized to MSF last week. MSF, which said it could not rely on U.S., NATO and Afghan internal investigations to get to the bottom of the bombing, said the Commission had been activated. "The IHFFC is now awaiting the agreement of the United States and Afghanistan governments to proceed," MSF said in a statement. Both nations must give their approval for the investigation to begin. MSF has said the commission's inquiry would gather facts and evidence from the United States, NATO and Afghanistan, and testimony from MSF staff and patients who survived the attack. "We have received apologies and condolences, but this is not enough. We are still in the dark about why a well-known hospital full of patients and medical staff was repeatedly bombarded for more than an hour," said Dr. Joanne Liu, MSF International President. "We need to understand what happened and why." A White House spokesman said Obama had told Liu that a U.S. investigation would "provide a transparent, thorough and objective accounting" of the incident and if needed the U.S. president would take steps to ensure no recurrence. The commission, composed of 15 experts including diplomats, military officers and medical doctors, was established under the Geneva Conventions that lay down the rules of war so as to protect civilians and non-combatants. The International Committee of the Red Cross, guardian of the pacts, has already backed a role for the international commission to determine the facts of the Kunduz bombing. "We absolutely support a fair, impartial and factual investigation," ICRC spokesman Ewan Watson said on Wednesday.